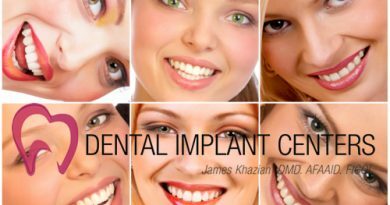 Placement of dental implants usually does not create a great deal of pain. However, carefully reading and following these instructions will ensure smooth and easy healing. Please read the following instructions before surgery. If you have any questions or concerns, discuss those with Dr. Khazian or his surgical assistants. If you have extreme pain and/or swelling which can not be controlled with your prescribed medications, please call our office immediately. After hours, you may reach Dr. Khazian at his cell phone at 858-775-5545. LIMIT PHYSICAL ACTIVITY during the first 3 days after surgery. Over exertion may lead to postoperative bleeding and discomfort. AVOID SMOKING COMPLETELY, as it tends to delay healing and interfere with regeneration. Take any regularly scheduled medication (for diabetes, high blood pressure, etc.) on your regular schedule unless advised to do otherwise. You may also continue taking your multivitamins and other nutritional supplements. If sutures have been placed following implant surgery, they will be removed 1-2 weeks after surgery, at the time of your post-operative check-up. Some sutures may become loose and fall out prematurely. This will not pose any problem and may be ignored. Nutritious diet during the healing period is very important. You may start eating as soon as numbness wears off and bleeding stops. Your first meal can ideally be a frozen protein shake containing banana, apple, creamy peanut butter, and milk. Avoid including strawberry, kiwi and such seeded fruits as their seeds may trap in the wound and cause infection. A few hours after bleeding stops, begin drinking a lot of water and non-citrus juices. DO NOT — — USE STRAW. It may dislodge the blood clot and delay healing. Avoid drinking carbonated beverages completely for several weeks. The day following surgery, start a soft nutritious diet rich in protein. This may include scrambled eggs, well cooked chicken soup, cottage cheese, milk, plain yogurt, well cooked and mashed vegetables, banana, and fruit shakes. Hot foods and drinks should be avoided. Avoid foods and/or fruits which contain seeds, nuts, or kernels such as popcorn, peanuts, strawberry, and kiwi, or are hard or crunchy. Remember, eating can prevent nausea sometimes associated with certain medications. Your prescribed medications play an extremely important role in your healing. The purpose of these medications is to prevent infection and swelling and control pain. Please follow directions carefully and take them exactly as directed. This will ensure a smooth healing and minimum pain. It is extremely important to complete the course, regardless of pain and/or swelling. Do not assume the medication to be unnecessary if you do not have pain or swelling. Yogurt with active cultures or acidophilus should be taken while on antibiotics to prevent diarrhea. If you are given antibiotics and take birth control pills, you should be aware that the birth control may become ineffective, therefore take appropriate precautions. Please do not drink alcoholic beverages while taking prescription medication. Good oral hygiene is essential to good healing. Do not rinse your mouth for at least 12 hours after surgery, as rinsing interferes with blood clotting and proper wound closure and healing. After 12 hours, start very gentle rinsing with warm salt water (1/2 teaspoon of salt in a cup of warm water). Do this at least 4- times a day, especially after meals. Proceed with your regular brushing and flossing after 12 hours, but stay away from the surgical site. Remember, the surgical site should be left completely undisturbed during the first 2 weeks following surgery. Do not brush teeth immediately adjacent to the surgical site for several days. Allowing the tissues to rest undisturbed assists the healing process. Avoid vigorous chewing, excessive spitting, or aggressive rinsing. If you routinely use a Water Pik, avoid doing so during the healing phase. Initial healing may be delayed, active bleeding restarted, or infection introduced. After 2 weeks you may gently brush the surgical site. If there are healing abutments placed on your implants which emerge through your gum, you should brush them routinely and keep them clean and free of plaque. BRUISING: Discoloration of the facial skin, adjacent to the surgical site, rarely occurs. This may be due to age, medications (aspirin, motrin, anticoagulants), and skin complexion. While cosmetically undesirable, this skin discoloration is harmless and will resolve over the next several days on its own, without any medical intervention. LIMITED OPENING: Any stiffness in the jaw muscles can be relieved by applying a warm moist towel to the affected side of the face. Chewing gum at intervals may also help relax the muscles. FEVER: There may be a slight elevation of temperature for the first 24 to 48 hours after surgery. If fever is present, it is extremely important to drink plenty of fluids. For fevers which exceed 101 degrees, please call the doctor especially if this fever is associated with limited opening. It is also appropriate to make sure that prescribed antibiotics are being taken correctly. BLEEDING: Expect minor bleeding or oozing. If bleeding persists, it is best controlled by biting on gauze packs. These packs are best changed every 45 minutes until bleeding subsides. Keeping your head elevated and sitting upright help stop bleeding. The most frequent cause of bleeding post-operatively is spitting or rinsing following surgery. PLEASE DO NOT RINSE OR SPIT FOR THE FIRST 12 HOURS FOLLOWING SURGERY. When you lie down keep your head elevated on a pillow. You may wish to place a towel on your pillowcase to avoid staining from any blood. SWELLING: You have been given an anti-inflammatory medication (Motrin) to prevent and control post-operative swelling. Start taking this medication immediately following surgery. Swelling may also be controlled by the immediate application of ice packs for the first 36 hours following surgery. Ice packs should be applied to the outside of the face in intervals of 30 minutes on and 15 minutes off. DRIVING AND ACTIVITIES: While under the influence of any anesthetic agent or narcotic pain medication, it is advised that you not drive a car, operate machinery, climb ladders, or make any important financial decisions. It is also advised that you refrain from any strenuous activity, as this may lead to an increase in swelling as well as the potential for injury because of impaired coordination caused by narcotic medications. Whenever possible, we encourage patients to use non-steroidal anti-inflammatory medications such as Advil, Motrin, or Aleve.